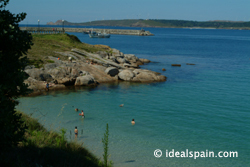 Muxia is a wonderful fishing port on the western coast of Galicia. The town has a great deal to offer the visitor, including several accommodation options. The Hotel Rustico is a great choice. 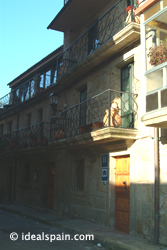 The hotel is easy to find and located in a small, quiet street. There is ample parking close by and the port and beach is a one minute walk. The hotel is a very old building that has been totally restored to a very high standard and using only traditional materials. 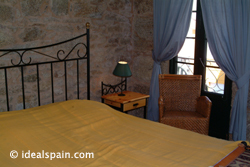 The rooms are furnished and decorated in individual and comfortable styles. Each of the seven rooms has a fully equipped bathroom. The hotel offers simple yet very comfortable accommodation. Breakfast is taken in the purpose built dining room and is first class. 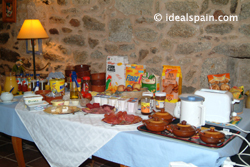 The owner, Lorena will make you very welcome and has a wealth of information to offer about the local area. A beautiful little hotel that has its own character. A warm and welcoming atmosphere in a pleasant area. Breakfasts are great and the wine bar next door is a great place for an evening drink. Lorena does much for the community to promote tourism, art and culture. More often than not there is some kind of exhibition going on. Ask her for details.